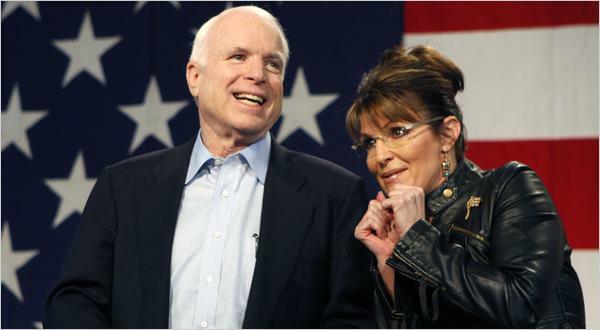 Yes, that was Sarah Palin wearing her best leather jacket at campaign stops for John McCain's U.S. Senate race in Arizona. All John McCain needs is a tie and perhaps a bowler hat. Emma Peel (Dianna Rigg) and John Steed (Patrick Macnee). John Steed (Patrick Macnee) and Cathy Gale (Honor Blackman). 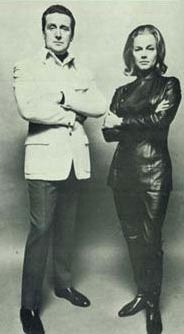 We'll observe that Sarah Palin's Emma Peel look is redundant. Cindy McCain can play the blond Cathy Gale, and get John McCain to button his shirt and put on a tie.